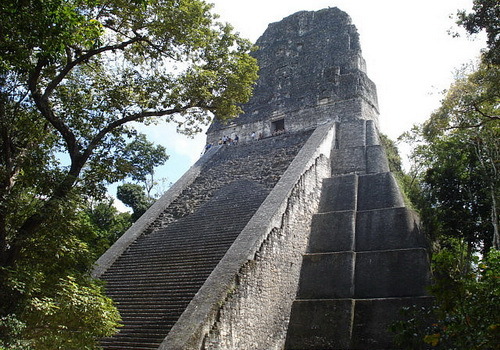 In Tikal there are many structures to visit and even more are buried under the ground, yet to be excavated. At the center of the site lies the Great Plaza that is bordered by two temple-pyramids, the North Acropolis and the Central Acropolis. 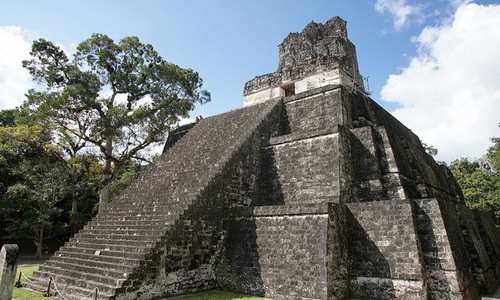 Temple I is located in the middle of Tikal National Park. It is also known as Temple of the great Jaguar. Ah Cacao(Lord Chocolate) also known as Jasaw Chan K'awiil I, one of Tikal’s greatest rulers is buried here and he is mostly associated with this temple. It was during his time (AD 682–734) that it was built. The temple has a height of 47 meters and was excavated between 1955 and 1964. 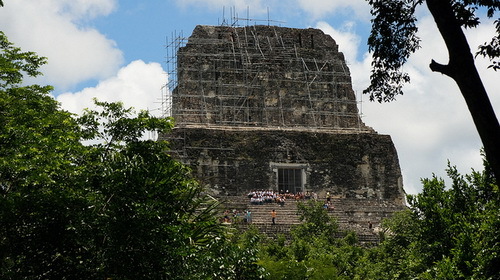 Temple II, also known as the Temple of the Masks is one of the best restored temples in Tikal. Standing at 38 meters height, it was built by the same Jasaw Chan K'awiil I in honour of his wife, Lady Kalajuun Une' Mo'. 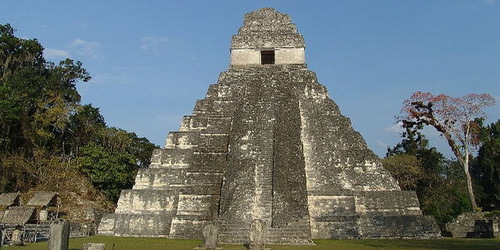 Also known as the Temple of the Jaguar Priest, Temple III was an important temple pyramid of Tikal. It was built around 810 AD and stands at 55 meters high. It is very probable that this temple is the funerary home of King Dark Sun. No journey to Tikal is complete without a daring ascent to the peak of Temple IV, thought to be the tallest edifice erected by the ancient Maya. 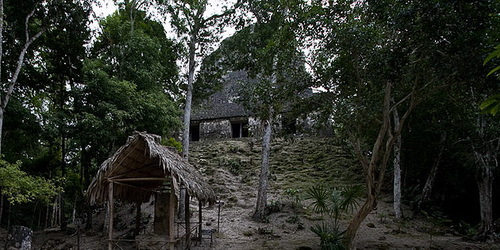 Visitors used to scramble up this partially restored pyramid's slippery sides holding on to roots and branches. Fortunately, new wooden stairs make the long climb much easier. A climber's huffing and puffing is well rewarded - views from the top of the 65-metre-high structure are nothing short of mystical. From here the Guatemalan jungle is broken only by the other temples of Tikal, rising above the trees. 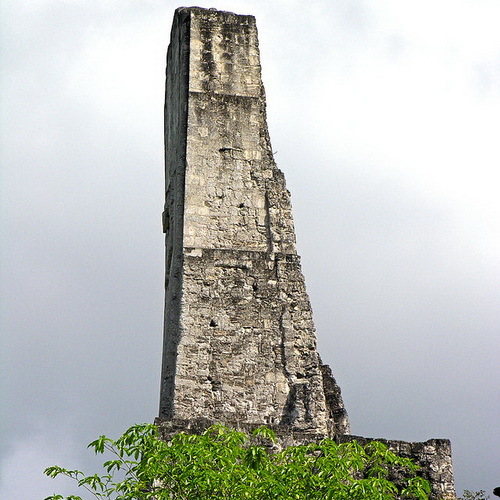 Temple V is the second highest structure in Tikal and in pre-colonial America. It stands 57 meters (187 feet) high. From its roof, you see other temples poking through the trees. There are plenty other temples and structures in the Tikal National Park, but it is estimated that only 30% of them are unearthed.